The Greater New Orleans Youth Orchestras’ Program inspires its members to achieve their highest potential while working together in an atmosphere of mutual respect, support, and teamwork. 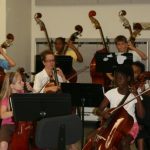 Young musicians, seven through nineteen, are placed by audition in one of five orchestras. 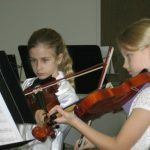 The youngest players learn ensemble skills in the Sinfonia and the Northshore Sinfonia string orchestras, progressing into one of the intermediate full orchestras, the Philharmonia and Northshore Philharmonia, as their skills mature. The most advanced musicians rehearse and perform full orchestral works in our premier group, the Symphony. 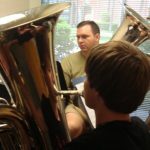 Weekly rehearsals prepare students for performances in at least three full concerts each season.